Recently, in my post ‘How To Decrease Your Risk of Type 2 Diabetes in Just A Few Weeks‘, I shared that blood sugar can be well managed through your diet. Today, I’m here to share a bit more about the missing mineral you need to prevent insulin resistance in case just diet alone isn’t cutting it for some of you. The truth is, while diet is a primary way to maintain health, often it is too broad to fix underlying imbalances. One key reason is that most of us have serious mineral imbalances and if we don’t know exactly what they are we can’t correct them through diet alone. That said, the missing mineral that is playing into the issue of insulin resistance (and diabetes): chromium. A deficiency of biologically active chromium can lead to insulin resistance. WHY? First let’s look at the issues of why chromium is missing…..
Not enough in the diet to begin with (processed foods/soil depletion). Excessive loss due to constant high sugar diet and or refined/processed foods diet. Or the body’s inability to convert chromium into it’s biologically active form. Soil depletion and our diets are key reasons chromium is missing for most everyone these days (namely in the United States). The modern day S.A.D diet (Standard American Diet), both due to processing/refining and excessive intake of starches and sugars, spells disaster for the blood sugar as well as that it does not contain much if any chromium to begin with in addition to further depleting any chromium the body does actually obtain. 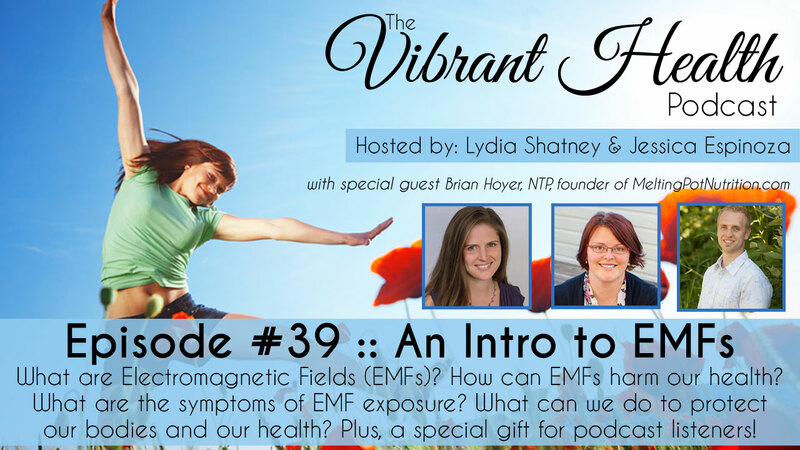 Let’s discuss further……..
Chromium is crucial to insulin function. Insulin is a hormone released by the pancreas. A hormones function is to deliver messages, their life is dedicated to communication. Insulin has more functions than just to lower blood sugar. It’s message or function is to facilitate the entry of glucose into the cell (into the mitochondria or fat storage). It tells it to go into the cell or to store it. Additionally, the pancreas requires chromium (and zinc) to make insulin in the first place. Chromium is a trace mineral that works to create enzymatic reactions. The enzymes that are triggered at the binding site need chromium to work. 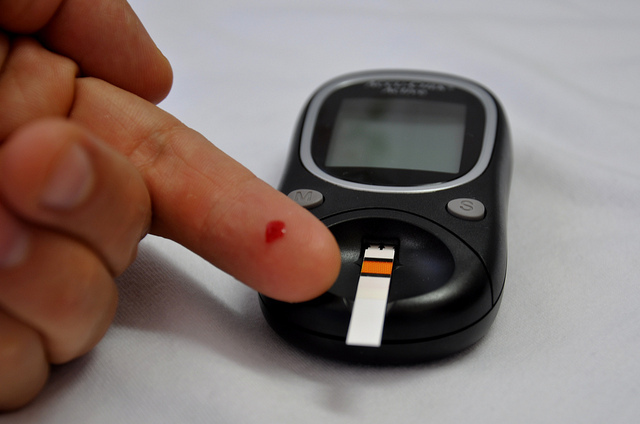 The enzymes with chromium activate insulin’s message ( essentially, chromium stimulates the activity of the enzymes that are involved in glucose metabolism- the biologically active form acts as an insulin co-factor). Gosh I so wish the medical community (aka: Doctors) were teaching this information to type 1 and 2 diabetics alike. The more insulin used by the body the more chromium is used as well. Every time there is an insulin action there is a greater need for chromium. The more chromium is used the more chromium is excreted by the kidneys. So, the more sugars/starches you eat, and the more stress you have, the more chromium is needed and expended by your body. Also, the body will compensate by producing MORE insulin when the insulin is already in secretion or use and can’t get into the cells effectively due to a lack of chromium, (aka: the missing mineral). Essentially, we could say that this deficiency of chromium increases insulin requirements. In this situation, even diet alone cannot control something like diabetes. This missing mineral may also explain a lot, especially to those who monitor their blood sugar and can’t always explain high blood glucose readings and even low blood glucose readings. Anyone that is insulin dependent will likely become deficient in chromium because the more insulin used/needed (think long term here too) the more chromium is depleted. This makes sense due to the modern diet -even if you have been eating whole foods for awhile – you likely didn’t growing up eating a nutrient dense whole foods diet. Not to mention most soil is very mineral poor and only getting worse. Your food is only as mineral rich as the soil it was raised in or on. So, what happens when we are deficient in chromium; insulin doesn’t work properly. The body’s system for using and storing energy won’t work if there isn’t enough chromium. A huge conundrum indeed! Just to share from my own personal observation, I’ve not seen one single client with adequate chromium levels on their hair tissue mineral analysis test results. 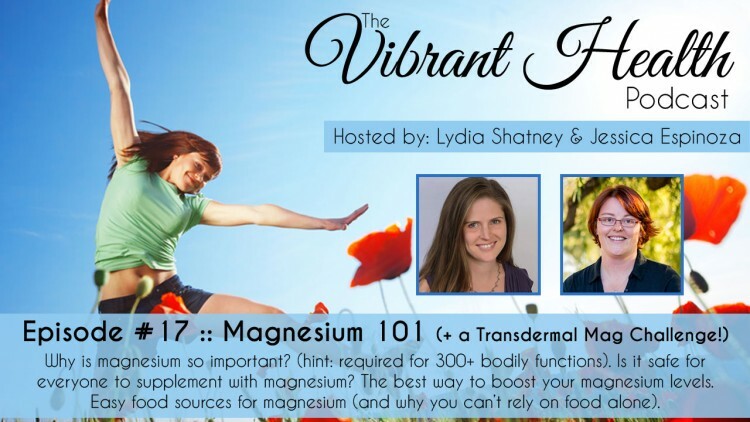 And, Dr. Wilson (Nutritional Balancing Pioneer reading hair analysis for 30 or so years now), says in his book; Nutritional Balancing and Hair Mineral Analysis, that everyone is deficient in chromium and likely needs a supplement. He also says that when chromium shows low on a hair test that it indicates a more severe deficiency in most cases (a good hair tissue range is: 0.12 – 0.16 mg% ). In reviewing over 50 hair analysis tests, I’ve noticed that the majority of people only show about 0.06 mg% or less -that is less than half the optimal level (optimal is .12 mg%). When we consume or refine sugar or grains we strip the chromium from them. There is also a severe reduction of chromium in our soil today as well. We must get chromium through food, as our bodies do not make chromium. It may not always be possible to get enough through diet, just about anyone could benefit from supplemental chromium. Most multi-vitamin supplements contain chromium. Chromium is also a difficult mineral to absorb. However, here are some key foods that contain chromium…. Brewer’s Yeast – This is probably the best option, however not everyone tolerates yeast very well. If you tolerate yeast, this is a great option. 1-3 Tbsp. daily of Brewer’s Yeast (also can be found in capsules-start out with a small amount first to make sure you tolerate it well). One good brand is Lewis Labs Brewer’s Yeast (add to soups for a nice hit of nutrition – great source of potassium too). Whole Sugar forms that have not been refined – such as molasses. But in small amounts because sugar increases a need for insulin. From what I can tell through my research, a daily recommended dose for adult women is about 25 mcg per day and for adult males is 35 mcg per day – children need much less (lactating women need around 44-45 mcg daily). Keep in mind, good digestion will be key in assimilating the chromium in your foods. It’s possible one may need to consume more than the recommended amount to actually assimilate enough. This is why supplemental chromium can be very helpful -especially for anyone with blood sugar issues (insulin resistance, diabetes; both Type 1 and Type 2, and hypoglycemia as well). Thankfully, chromium is absorbed well in many supplemental forms. Please discuss dosage with your health care practitioner. [Caution: Using supplemental chromium may reduce need for insulin – if you are insulin dependent please work with your doctor/health care practitioner to properly monitor your insulin and glucose levels]. Some key health issues that may really benefit from supplemental chromium are: decreased and increased blood sugar levels, diabetes, morning sickness, low HDL with high cholesterol, general pancreas support, general fatigue, psoriasis and to support increase in lean muscle mass. (Source: Clinical Reference Guide for Biotics Research). Need more insights and support with blood sugar balance and overall health in general? A Hair Tissue Mineral Analysis provides a metabolic blueprint of your unique biochemistry and offers a game plan just right for you! 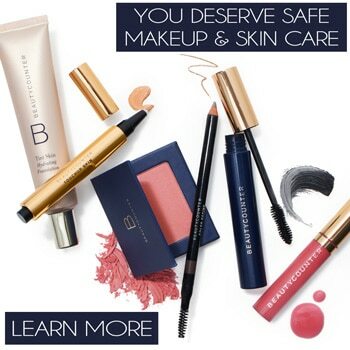 Get started today- click on the banner below.…. When it comes to supporting blood sugar balance in the body (as well as your thyroid and adrenals since they are all part of the endocrine system), caffeine may not be your best friend. While those with sluggish adrenal glands and a slow thyroid tend to feel run down and in need of a regular pick-me-up (like coffee and other caffeinated beverages), in the long run, caffeine can do more harm than good while you are healing. I go into the “whys” around caffeine and your blood sugar balance in this detailed post here. In addition to the caffeine, there are other constituents, molds, and mycotoxins that can show up in coffee that some people find they react to. When I was diagnosed with autoimmune disease and adrenal fatigue, one of the first things that had to go was coffee. To be honest, I never drank coffee because of the caffeine. I drank coffee for the taste and aroma, as well as the emotional experience I felt to my morning cup of joe. For me, it was a ritual that I looked forward to every day (and sometimes multiple times a day). Whether I was brewing it at home or going to my local coffee shops, the experience was one that I clung to tightly. Necessity is the mother of invention so that is why I created my own coffee substitutes. They were made with organic, sustainably harvested herbs with zero grains, zero gluten, and zero caffeine. Just herbs. Herbs that not only tasted delicious but supported my body’s function, like liver detox, bile production, digestion, etc. In my mind, if I can get something to not only taste amazing but do amazing things for my body, then it’s a no brainer! That is why I created the best-selling DIY Herbal Coffees eBook: A Complete Guide To Making Delicious Herbal Coffees to Support Healing & Stress Relief. 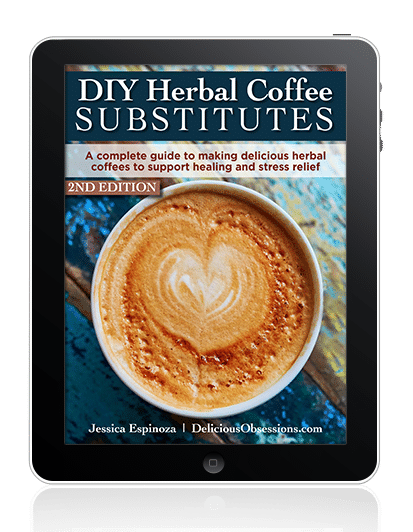 Now in its second edition, this ebook features all of my proprietary herbal blend recipes to you can craft a homemade herbal cup of “coffee” at home. 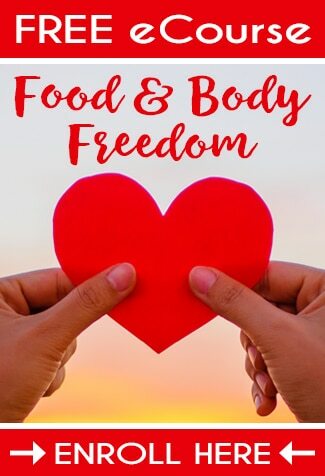 In addition, you get a ton of researched information about coffee’s impact on the health of those dealing with issues like adrenal fatigue, blood sugar dysregulation, autoimmune disease, thyroid disease, and any other chronic illness. Lastly, you get access to your own personal coffee shop. I show you how to recreate your favorite coffee shop drinks and pastries with wholesome, nourishing real food ingredients. No junk here. Nutritional Balancing and Hair Mineral Analysis: A New Science of Energy, Lawrence Wilson, M.D. Nourishing Traditions: The Cookbook that Challenges Politically Correct Nutrition and the Diet Dictocrats, Sally Fallon with Mary Enig, Ph.D. I believe insulin is highest in the morning? Is it best to supplement in the morning? You certainly could have some in a multi with breakfast or even make sure you have a food rich in chromium. But keep in mind chromium is a trace mineral that can be stored in the body. So as long as you are getting enough in your diet, supplements and actually assimilating it you shouldn’t have to worry about specific times to take it. Great post! And such a relevant and important topic! THANK YOU SOOO very much for sharing this info!! I am PCOS/insulin resistant and constantly battle issues so this info will hopefully be helpful to me. I am curious what the difference is between choromium and chromium picolinate?